Grew Up... in old money. With a family that could be traced back to the Mayflower, Mellie grew up privileged and attended Harvard Law School, where she met her future husband Fitzgerald Grant, who would become president of the United States. Living... in the White House with her husband, Fitz, and her kids Karen, Jerry, and “America's baby,” Teddy. Often accused of being a bad mother, Mellie's older kids attend boarding school while she and Fitz fight over authority in the White House. Profession... First Lady, but with far greater ambitions. Smarter than her husband (and technically the reason he first gained status), Mellie wants to do more than choose china patterns. Although she was “running for first lady” just as steadfastly as Fitz ran for president, if not more so, her ultimate goal is to plan foreign policy on East Sudan rather than plan dinner parties. Interests... knocking back hooch, shooting birds, and planning the occasional political subterfuge. Blue-blooded Mellie's grandfather ran liquor back in the South, so the country girl is perfectly capable of holding her alcohol (as she proves quite often). She is even better at destroying a target, whether it's ducks in a marsh or political opponents in Washington, D.C. Relationship Status...married, although very much estranged from her husband. Having met on a supposed blind date arranged by Fitz's father, who wanted his son to marry someone of higher “breeding,” Fitz calls his courtship of her “a merger. 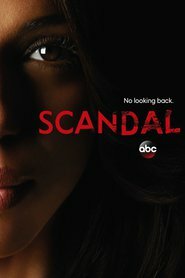 It was just shy of prostitution.” Both bitter over their lack of love for one another, their marriage becomes even more strenuous when Fitz has and affair – and falls in love – with high-powered D.C. political “fixer” Olivia Pope. Personality... cunning, perceptive, and diplomatic. Mellie has the capacity to be as successful as Fitz, but, like Cyrus Beene, is willing to give up her ambitions for his. This makes her resentful, especially when he clearly does not appreciate her sacrifices and flaunts his love for Olivia in front of her. Despite him hurting her, she is perceptive enough to recognize that she and Fitz “were always partners. And we were always friends.” And as such, she is willing to let Olivia have Fitz's heart if that means that she can still stand beside him as the respected First Lady of a successful President. Melody Grant's popularity ranking on CharacTour is #687 out of 5,000+ characters. See our top-ranked characters and read their profiles.